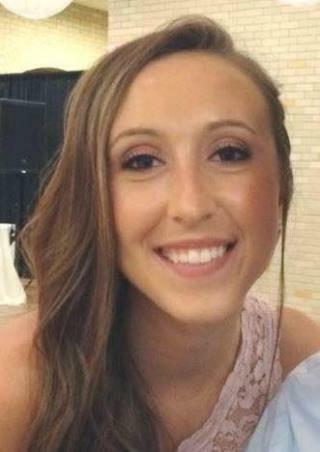 (Newser) – Police have made an arrest in the disappearance of Ohio woman Sierah Joughin—and they believe they've found the body of the missing 20-year-old, who was last seen riding her bike on Tuesday evening. Fulton County Sheriff Roy Miller says James Dean Worley, 57, was arrested early Friday, People reports. He has been charged with abduction and the sheriff believes more charges will follow. On Saturday, Miller announced that remains believed to be Joughin's were found Friday night in rural northwest Ohio, the AP reports. No further details on the body were given. The Toledo Blade reports that Worley has a chilling criminal record: In 1990, he pleaded guilty to kidnapping another female cyclist, who managed to escape after Worley drove his truck into her bike, causing her to fall into a ditch, and then hit her on the head and dragged her into his vehicle. Maybe the cash whore Hillsie shouldn't have pushed so hard to topple the existing government and cause this tragedy. Three years the last time he pulled this sort of thing. Just what did the authorities think would've happened to his last victim, had she not escaped? Three years. Release the pot smokers, and put these monsters away for life without parole.